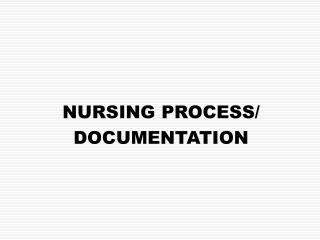 Lack of funds (decrease in funding or specific program). 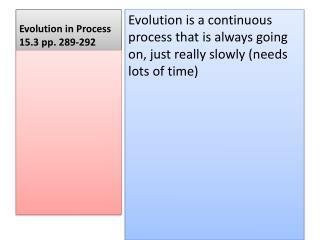 Lack of work (decrease in workload). 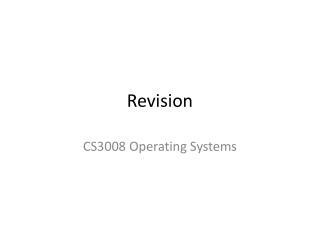 Abolishment of specific position due to reorganization, reasons of economy or lack of work. 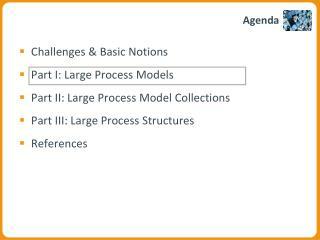 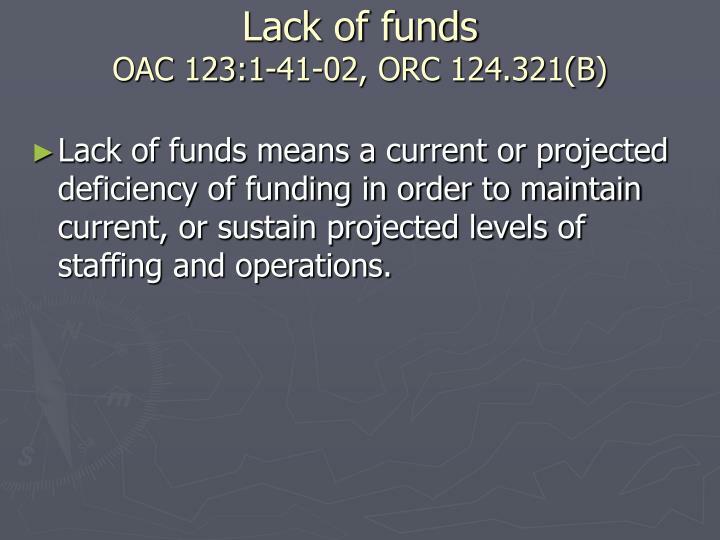 Lack of funds means a current or projected deficiency of funding in order to maintain current, or sustain projected levels of staffing and operations. 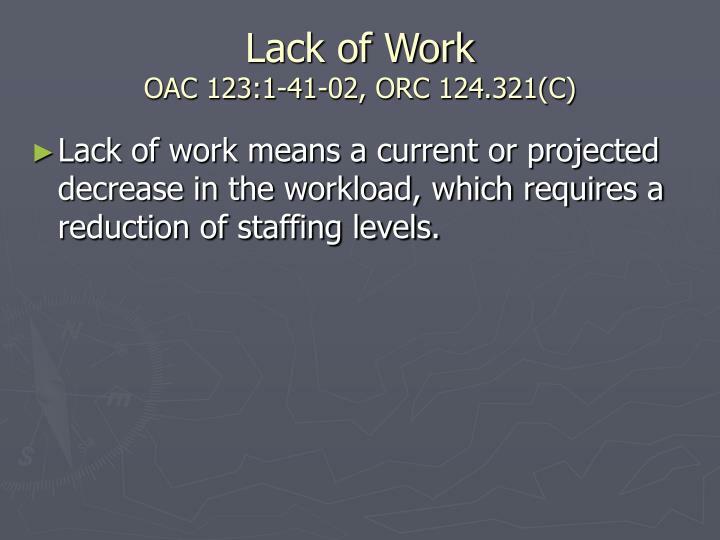 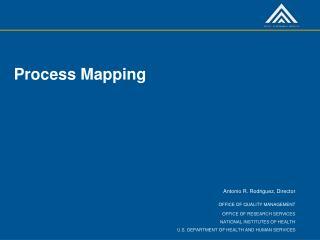 Lack of work means a current or projected decrease in the workload, which requires a reduction of staffing levels. 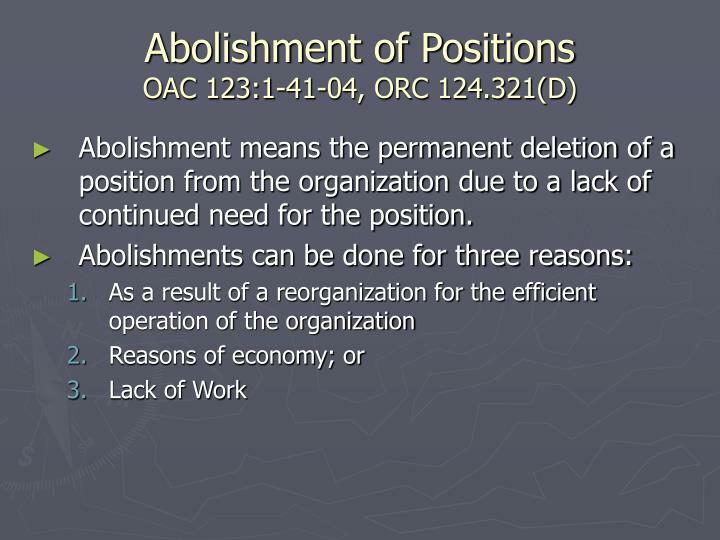 Abolishment means the permanent deletion of a position from the organization due to a lack of continued need for the position. 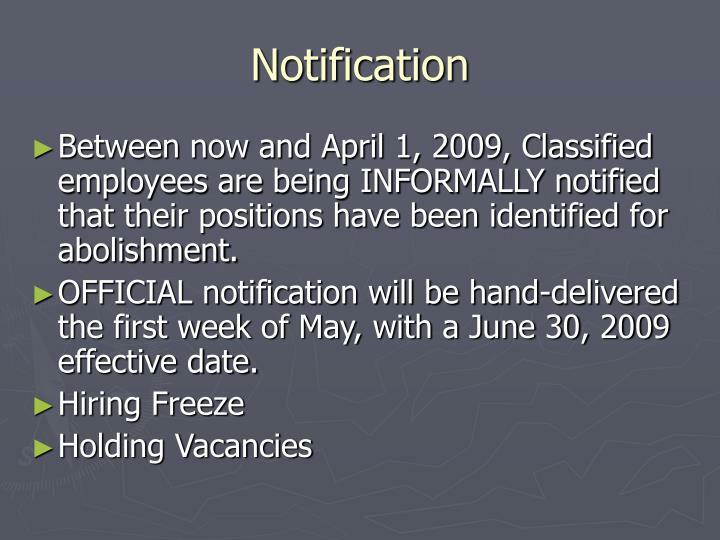 Between now and April 1, 2009, Classified employees are being INFORMALLY notified that their positions have been identified for abolishment. 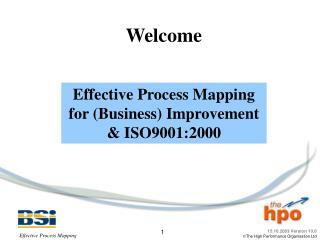 OFFICIAL notification will be hand-delivered the first week of May, with a June 30, 2009 effective date. 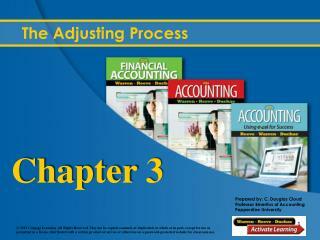 An employee whose position is targeted for abolishment may be transferred to an available vacancy. 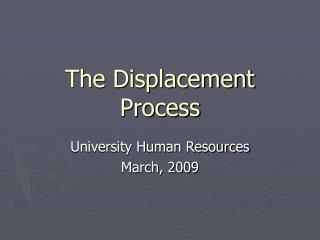 This process will take place prior to the displacement of any other employee. 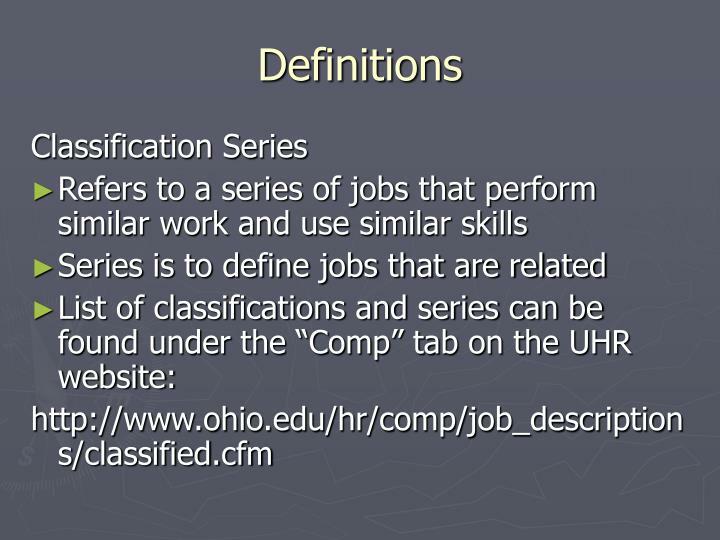 Transfer to same classification, same series or classification previously held within three years or similar classification with same pay grade, provided that employee meets the minimum qualifications. 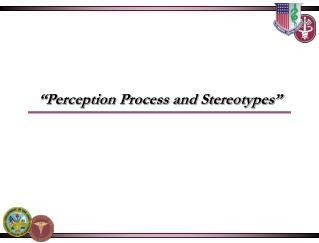 May not result in promotion. 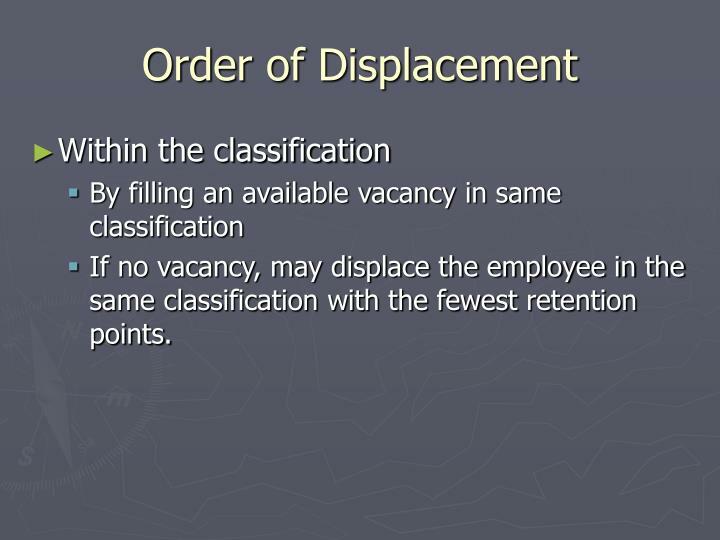 If no vacancy, may displace the employee in the same classification with the fewest retention points. 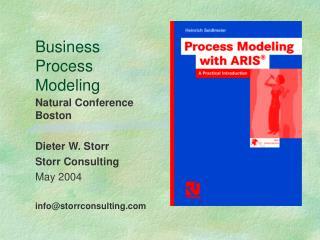 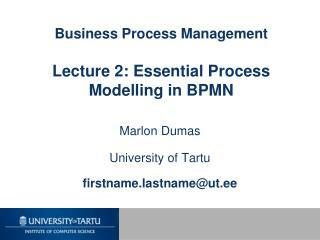 By filling an available vacancy in the classification series. 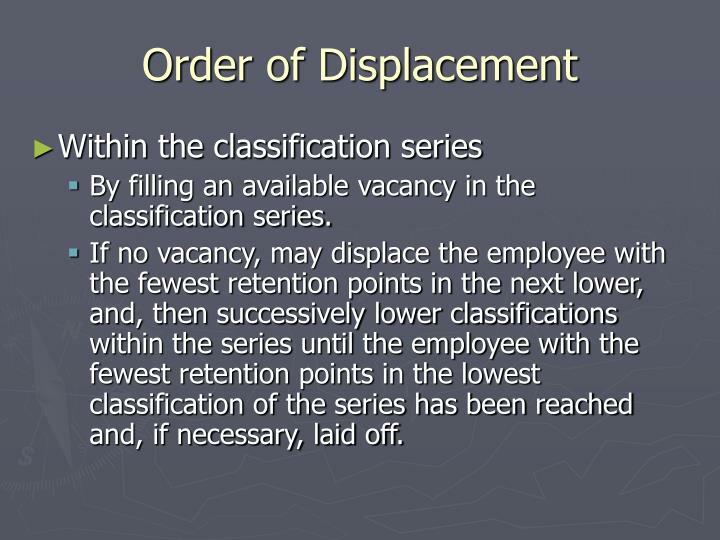 If no vacancy, may displace the employee with the fewest retention points in the next lower, and, then successively lower classifications within the series until the employee with the fewest retention points in the lowest classification of the series has been reached and, if necessary, laid off. 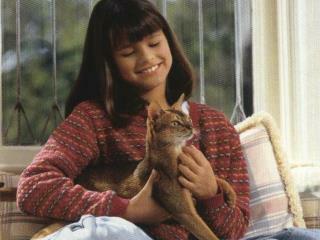 Employee completed original probationary period. 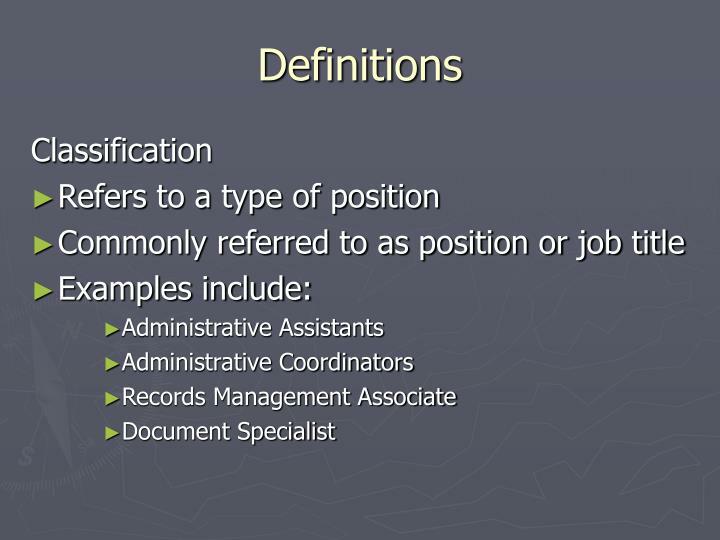 An employee may not displace an employee whose position requires special minimum qualifications unless the employee displacing to the position has the minimum qualifications. 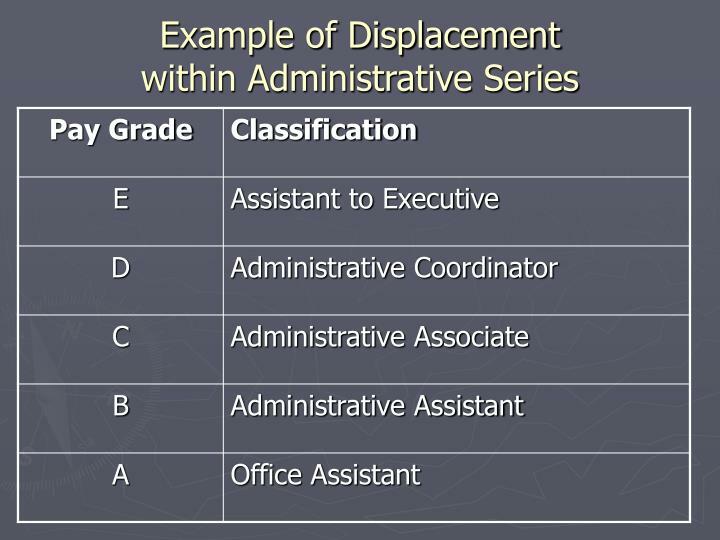 The pay range following displacement is the pay range assigned to the classification into which the employee displaced. 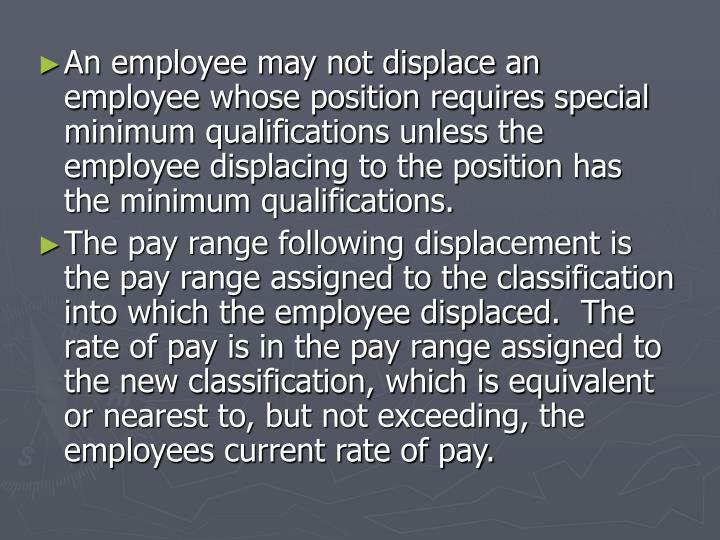 The rate of pay is in the pay range assigned to the new classification, which is equivalent or nearest to, but not exceeding, the employees current rate of pay. 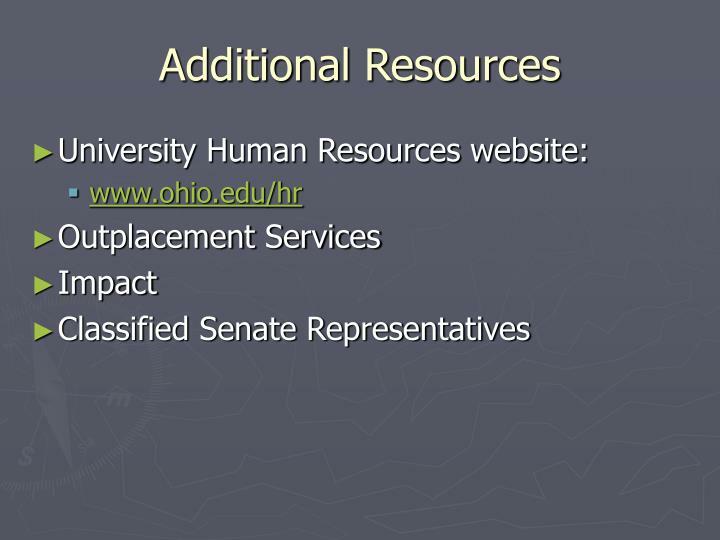 Retention points are calculated on the employee’s current CONTINUOUS Ohio University service: the most recent hire date. 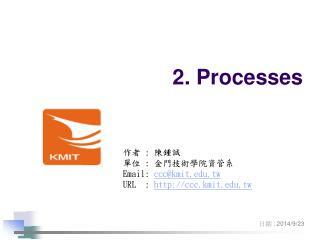 Overtime is not considered for purposes of computation. 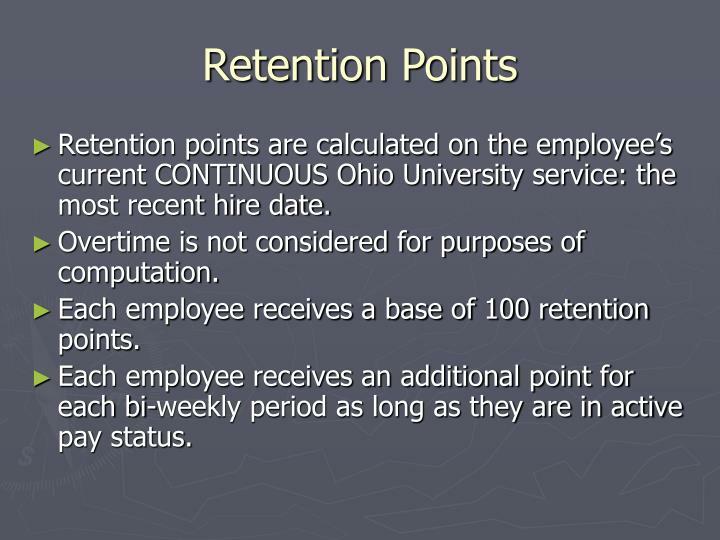 Each employee receives a base of 100 retention points. 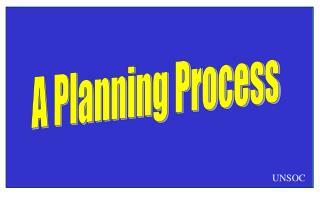 Each employee receives an additional point for each bi-weekly period as long as they are in active pay status. 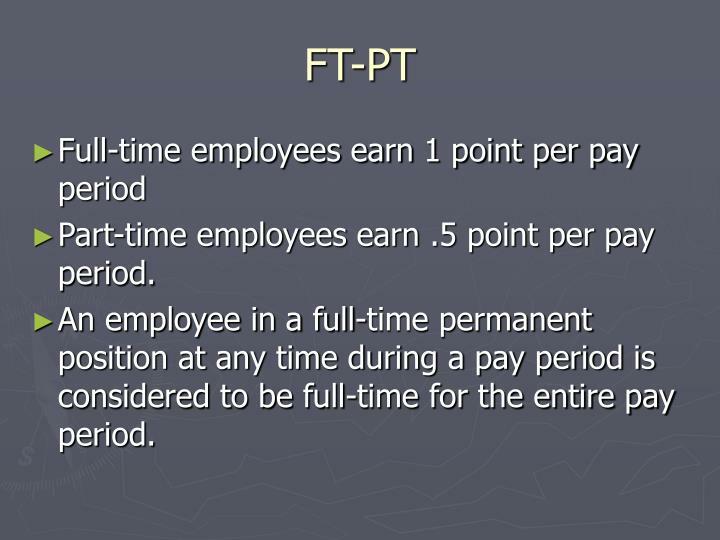 Part-time employees earn .5 point per pay period. 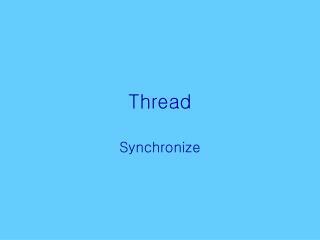 An employee in a full-time permanent position at any time during a pay period is considered to be full-time for the entire pay period. 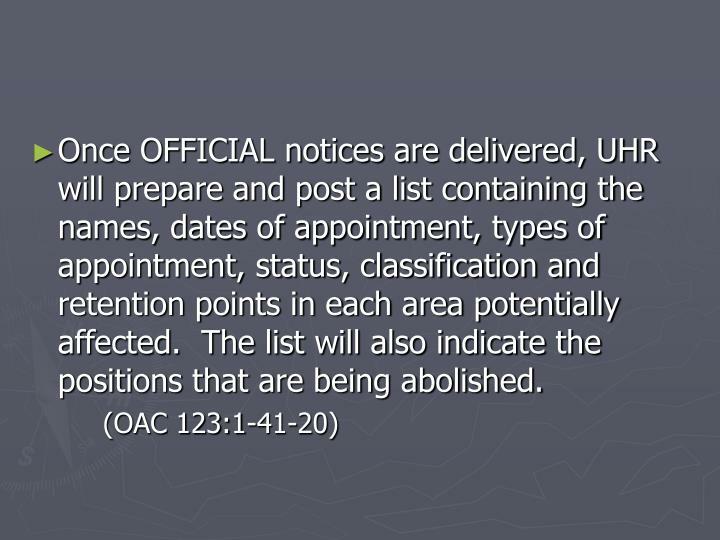 Once OFFICIAL notices are delivered, UHR will prepare and post a list containing the names, dates of appointment, types of appointment, status, classification and retention points in each area potentially affected. 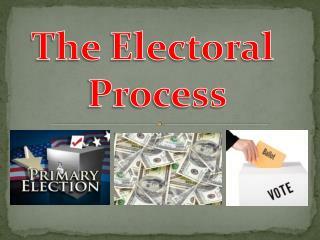 The list will also indicate the positions that are being abolished. 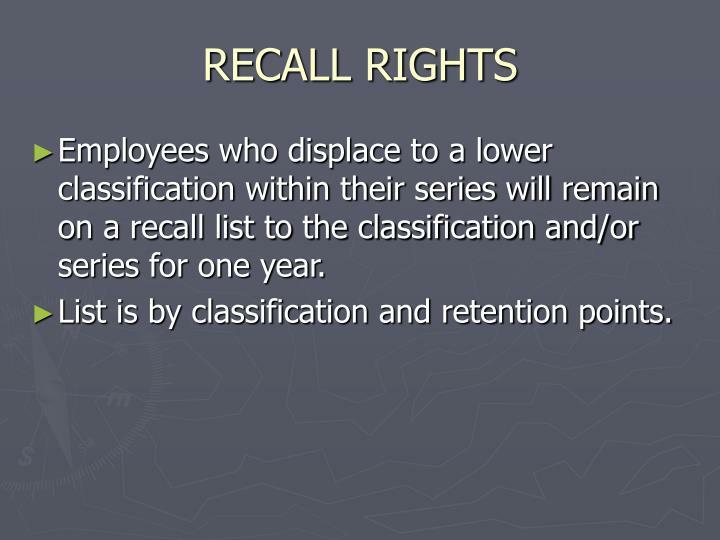 Employees who displace to a lower classification within their series will remain on a recall list to the classification and/or series for one year. 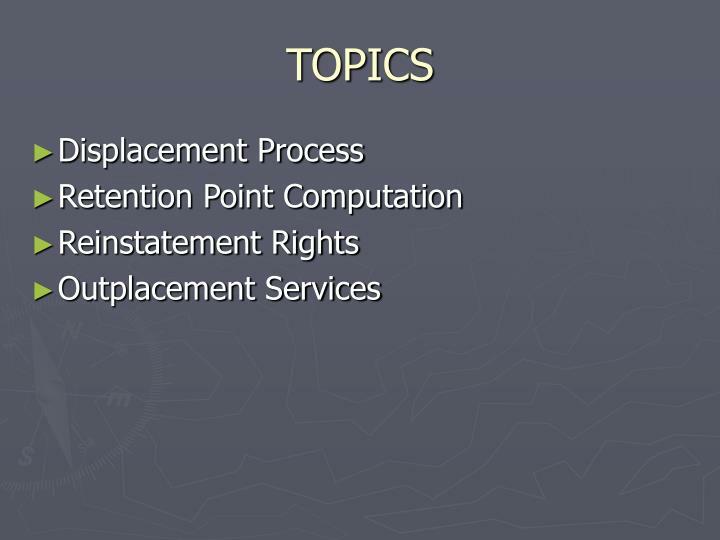 List is by classification and retention points. 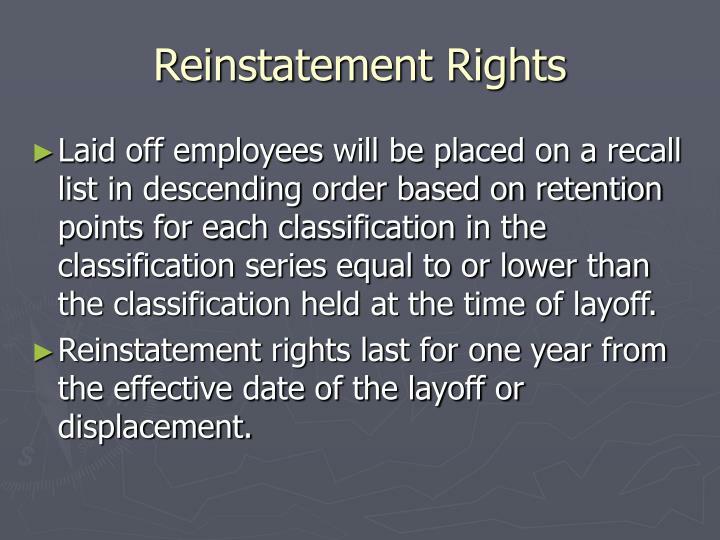 Laid off employees will be placed on a recall list in descending order based on retention points for each classification in the classification series equal to or lower than the classification held at the time of layoff. 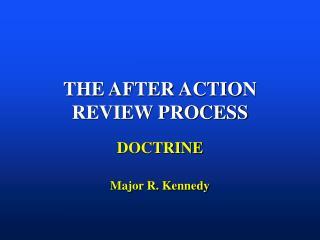 Reinstatement rights last for one year from the effective date of the layoff or displacement. 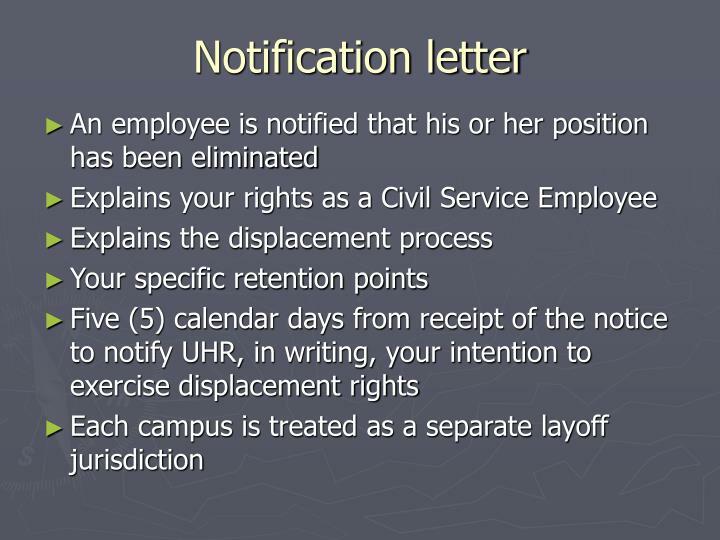 During this one year period, the University cannot hire or promote anyone into a position within the classification and classification series until all persons on the layoff list is exhausted. 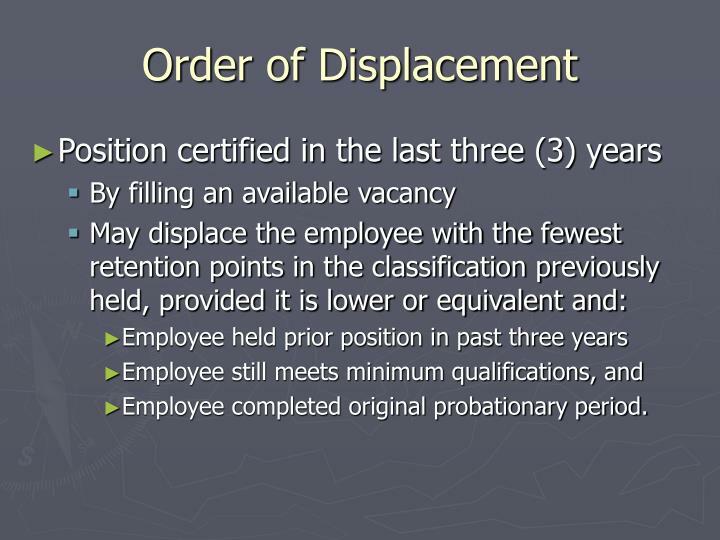 Employees who do not exercise their option to displace will only be recalled to their specific classification. 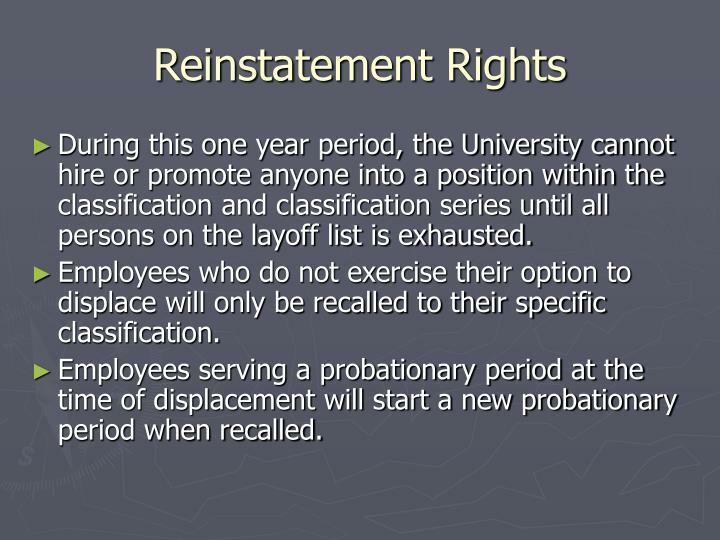 Employees serving a probationary period at the time of displacement will start a new probationary period when recalled. 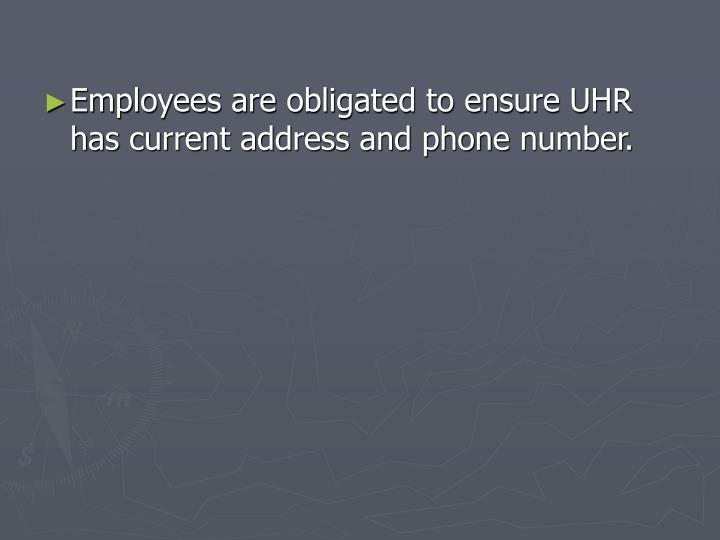 Employees are obligated to ensure UHR has current address and phone number. 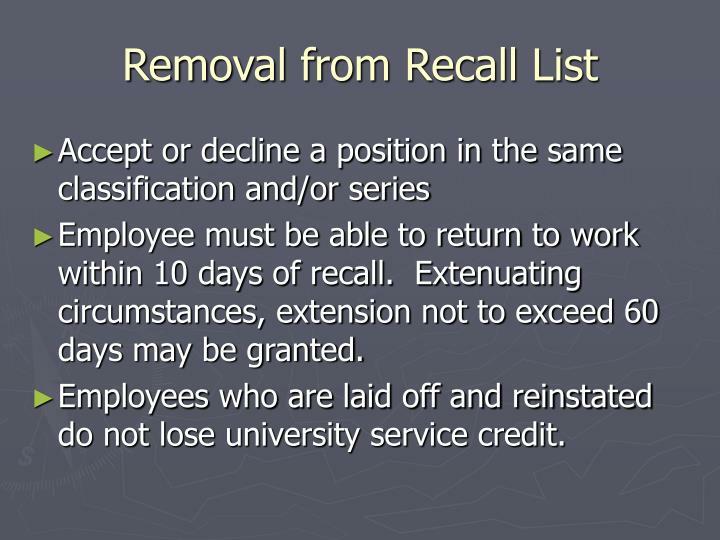 Employee must be able to return to work within 10 days of recall. 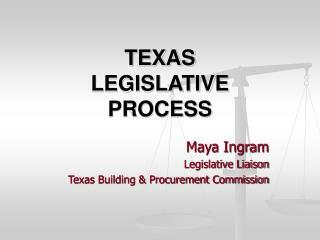 Extenuating circumstances, extension not to exceed 60 days may be granted. 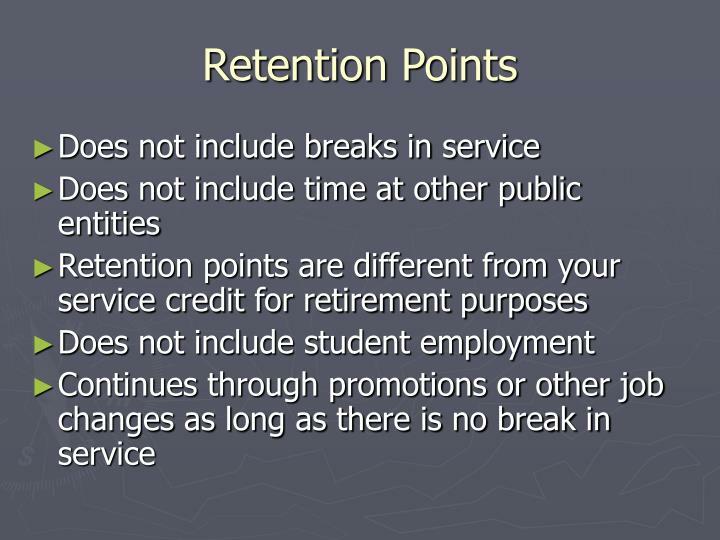 Employees who are laid off and reinstated do not lose university service credit. 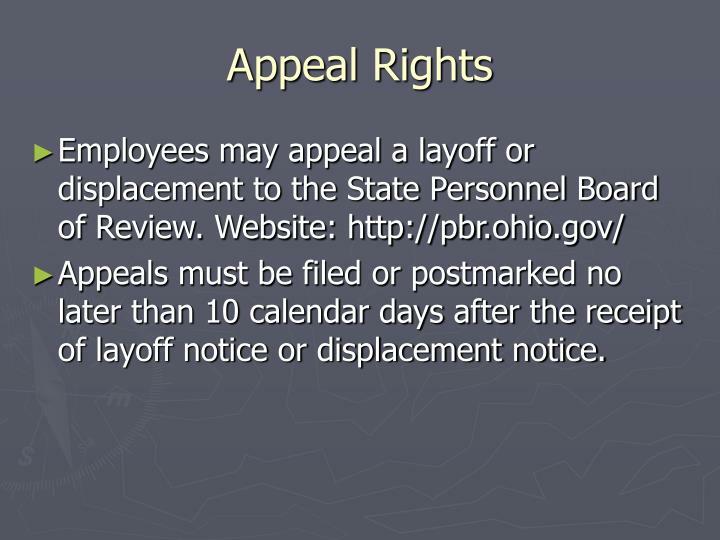 Appeals must be filed or postmarked no later than 10 calendar days after the receipt of layoff notice or displacement notice. 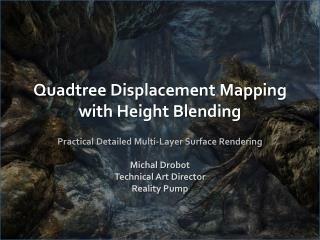 Cementing -11.1-2. cementing. 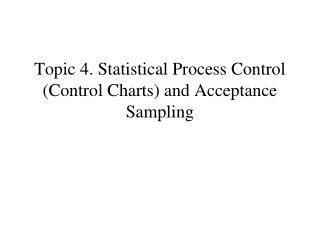 variables that affect liner cementing performance in deviated and horizontal wells. 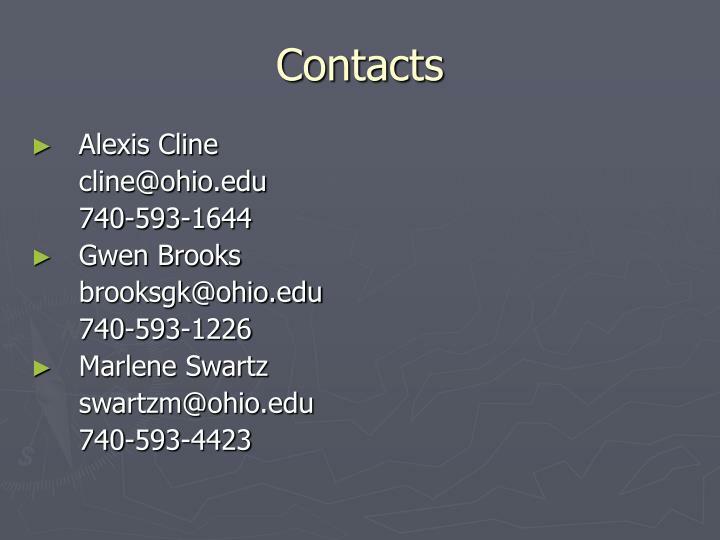 11.1-3. cementing. 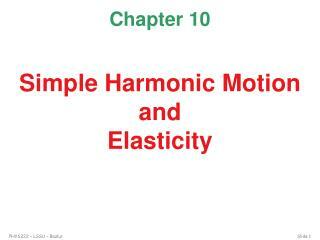 displacement flow ratecement slurry rheologyturbulators placementcentralization. 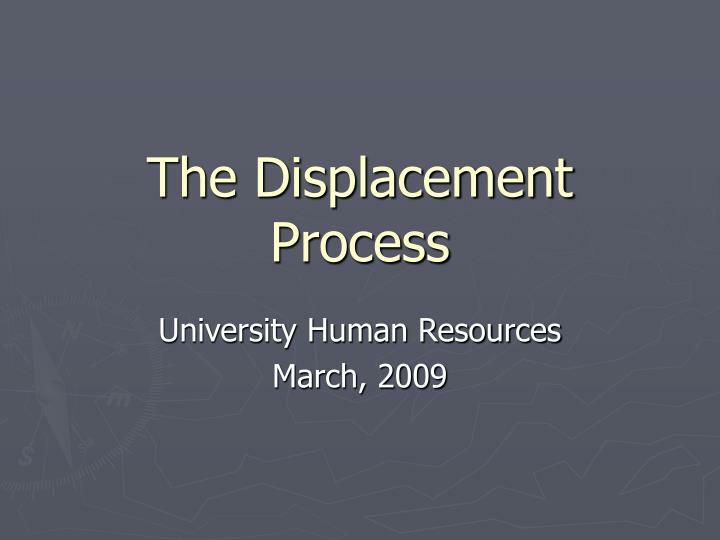 11.1-4. displacement flow rate.